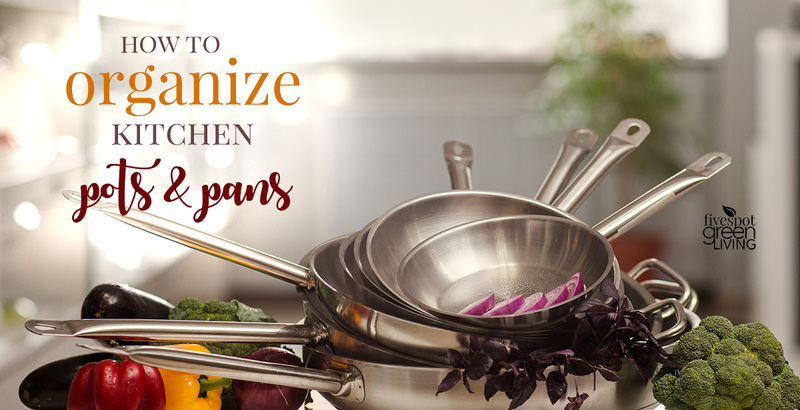 Is your kitchen organized so your pot and pans are within easy reach? Or do you feel like you have to move mountains every time you want one? Pots and pans are an essential everyday kitchen item, but they can often be really awkward to store away. 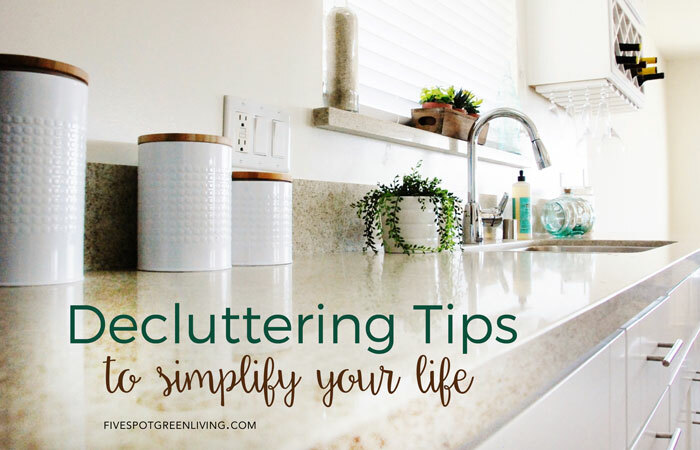 Trust me, it will feel so good when you learn How to Organize Pots and Pans in Your Kitchen – you’ll be decluttering your life! 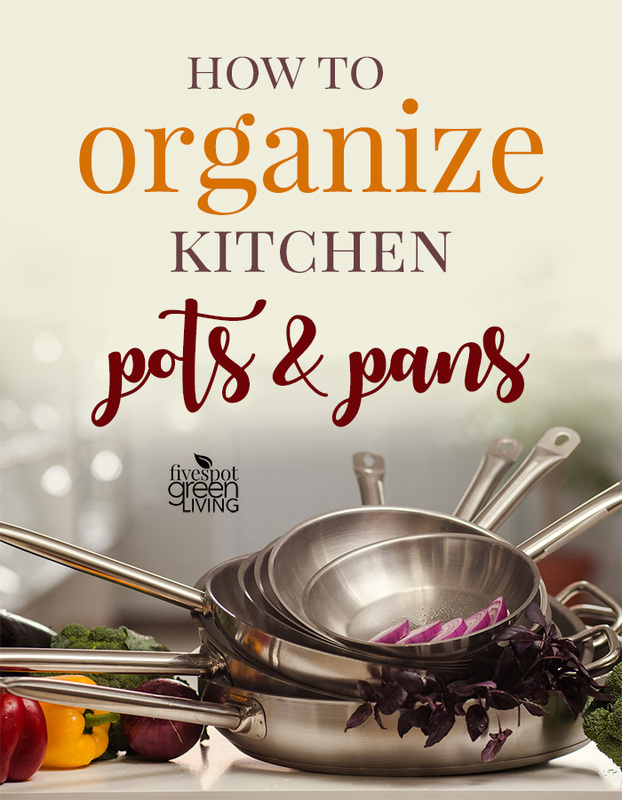 If you’re looking for unique storage ideas to organize pots and pans in your kitchen, here are some great options! One problem with storing pots and pans in kitchen cabinets, is they can easily become scratched if you need to stack them together. One clever way to counteract this, is to use paper plates as a divider between them. That way, they’ll be cushioned so the sides and bottoms won’t become scratched. It’s a simple, yet a very effective idea when you just don’t have the space to store them separately. You can also use a microfiber cloth in between the pots and pans. My cabinet is set up as drawers so my pots and pans are sitting on top of one another and it’s easy for things to get knicked. Even my beloved red cast iron skillet has been chipped because of hastily moving things around. 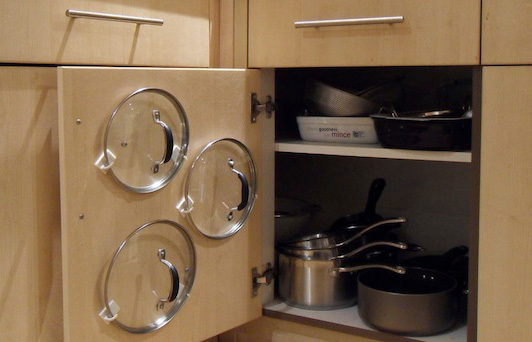 If you have a fairly deep cabinet, you can help keep your pots and pans organized by adding your own dividers. These can be made from cheap plywood or even plastic dowels if you’re on a budget. Check out this great tutorial here! Simply have some pieces of plywood cut to size and stick them down into the drawer, providing separate areas to store specific pots and pans. For example, one section could be used for roasting pots, while another could be used for frying pans. The simplest idea of the list, adding hooks to the inside of a cabinet door can provide a fantastic place to hang pan lids. You’ll need removable plastic hooks which the lids can hand onto. Once installed, the lids will be easy to reach, whilst eliminating clutter from the inside of the cabinet. If you do have a deep cabinet, another way you can divide it up is to add a separate shallow storage shelf. Again, this could be made from plywood to save money. The shallow shelf could be used to store the pan lids, while the deeper section would store the actual pots and pans themselves. Another great idea is to create sliding storage in your cabinets. You can actually buy ready-made sliding storage racks which can be installed into a suitable cabinet. The pots and pans can either be stored onto the wire rack, or hung from them depending upon which type you opt for. These racks are highly recommended if you have the space to install them. They look a lot like the racks you get in a dishwasher and really help to keep everything organized. These are just 5 great organize pots and pans in your kitchen. Regardless of how much space you have available, you’ll be able to incorporate at least one of the ideas above into your kitchen. This is a big problem in my kitchen. Thanks for the great suggestions! I love these and the lids on the inside of the cabinet doors are absolutely fabulous. Thank you!